Reid answered that he didn't want people to think he was incapacitated while Democratic minority leader. 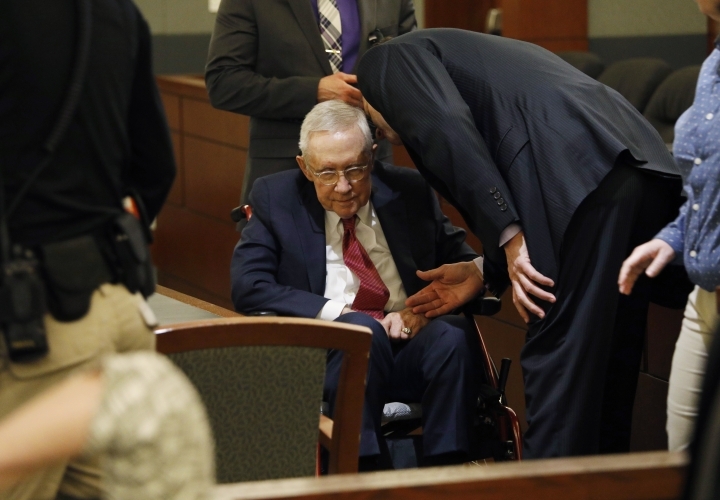 Reid has told jurors that he spun and fell face-first against cabinets in his bathroom when a flexible device he'd looped around a shower door handle slipped from his grip as he exercised. Reid told jurors Thursday that he spun and fell face-first against cabinets in his bathroom when a flexible TheraBand device he'd looped around a shower door handle slipped from his grip as he exercised. 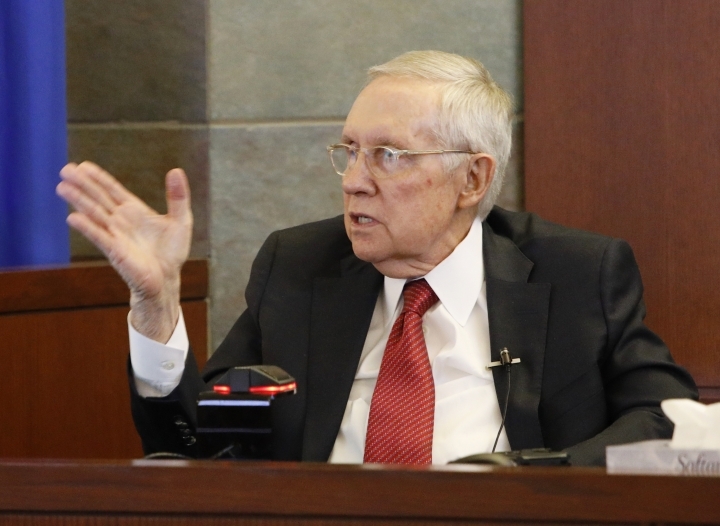 A company lawyer says Reid misused the device and the company isn't at fault.